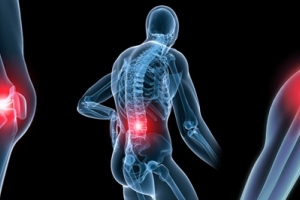 Osteoarthritis (OA) is known as the most common form of arthritis. Osteoarthritis occurs due to the wear and tear of the cartilage in your joints. Cartilage is known as the “protective cap” of your joints and ensures their smooth functioning. As the cartilage erodes over time, the 2 bones at your joints become exposed eventually rub against each other. This results in extreme and unbearable pain. Listed below are some signs and symptoms of osteoarthritis. Osteoarthritis most commonly affects the following areas. The most common area of the hand where osteoarthritis could occur in the hand is the joint at the base of your thumb. Small nodes could also appear in the middle of joints or at the tip of the joints. Our hips supports the weight of our upper body and give movement to our lower body. If osteoarthritis occurs in the hip, one could also experience pain in the thigh and groin area. It could result is the difficulty in twisting the upper body, bending and even walking. The knees are known as the “weight bearing joints”. It also absorbs most of the “shocks” incurred when we fall and when we land after jumping from a height. When osteoarthritis occurs in the knee area, one would experience difficulty in walking and climbing stairs. The cause of osteoarthritis is still unknown. However listed below are some of the factors that are commonly observed in people who develop osteoarthritis. Even though there could be a possibility of arthritis occurring in children, a condition known as Juvenile arthritis, most cases of osteoarthritis occur in adults above the age of 45. Males are more susceptible to females in developing osteoarthritis. If one has experienced an injury to a joint before, the risk of developing osteoarthritis in that area is high. Moreover, work that places high stress on the joints could result in the overuse of these joints, especially the knees, would result in the wear and tear of the cartilage and hence increase the risk of developing osteoarthritis. How do we accurately diagnose osteoarthritis? A professional Rheumatologist would walk you through the signs and symptoms that you experience to help you accurately identify the cause and also to provide the most appropriate treatment. X-rays could help one correctly identify whether one is suffering from osteoarthritis. It could also help to distinguish between the different forms of arthritis to ensure proper treatment. A series of X-rays taken over time of the affected joint could also show the rate of degradation of the cartilage. Joint aspiration is a medical technique whereby the fluid that lubricates the joints will be drawn out using a needle and analysed. This is to for the doctor to accurately diagnose the problem and to check whether there is any infection to the joint. 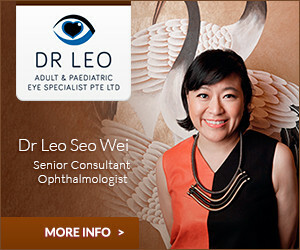 View all of our Singapore Rheumatologists & Arthritis Specialists here.